The Royal Australian Air Force (RAAF) has deployed to Guam to participate in Exercise Cope North 2017 – a high end air combat and humanitarian assistance exercise. 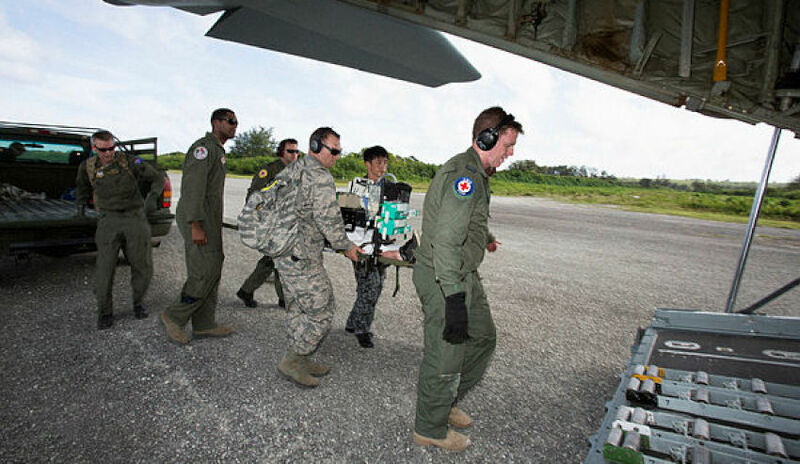 Held from 15 February to 3 March 2017 at Andersen Air Force Base, Guam, an Air Task Group from the RAAF involving F/A-18A Hornet, E-7A Wedgetail, C-130J Hercules aircraft as well as combat support and medical elements have deployed for the exercise. Up to 12 F/A-18A Hornets from Number 3 Squadron at RAAF Williamtown have all been assigned to Exercise Cope North and will be operating alongside aircraft from the US and Japan. The exercise, which is hosted by the United States Pacific Air Forces, aims to develop and improve combat readiness, humanitarian assistance procedures and increase the interoperability between the three forces of the US, Australia and Japan. Group Captain Tim Alsop is the Australian Commander for the exercise and said there are great opportunities to gain from Cope North. "This is the sixth time Australia has participated in the exercise. Every year we gain more appreciation of how our equipment, aircraft and personnel operate together in this environment," GPCAPT Alsop said. "Cope North gives us the opportunity to validate how effective our training is in a complex and demanding air combat scenario." Number 2 Squadron E-7A Wedgetail Airborne Early Warning aircraft will also deploy for the exercise and provide a command and control capability. A C-130J Hercules is also participating in Exercise Cope North as part of the humanitarian assistance scenario, and will provide an air drop capability and combat search and rescue element. In addition, a combat support element and aeromedical evacuation team will deploy to enhance interoperability between the three forces. This is the sixth consecutive year the RAAF has participated in Cope North Guam, an annual exercise that started in 1978.